New York State Attorney General Eric T. Schneiderman today filed an injunction against the two largest daily fantasy sports (DFS) sites serving New York residents, DraftKings and FanDuel, alleging several violations of New York’s gambling statutes. The filing follows yesterday’s denial of a motion for a temporary restraining order against Schneiderman’s AG office in a hearing before New York Supreme Court Justice Manuel Mendez, and will likely be joined into an expedited hearing regarding the two companies’ New York-targeting operations currently scheduled for next Wednesday, November 25th. FanDuel and DraftKings took differing actions in response to the filing by Schneiderman’s office. 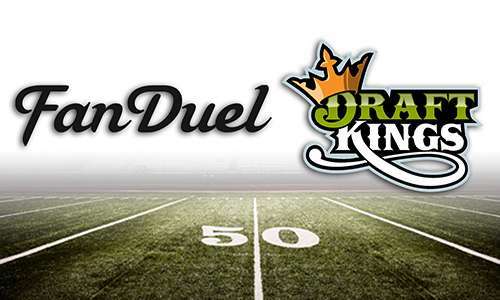 FanDuel immediately announced that it would temporarily suspend its operations in the US’s second-most populous state, pending the outcome of next week’s hearing; DraftKings refused to curtail New Yorkers’ access to its ongoing daily and weekly contests. “We remain committed to ensuring that New Yorkers retain the right to continue to play the daily fantasy sports games they love,” added a DraftKings spokesman. New York AG Schneiderman’s office took the unusual step of issuing a press release announcing the filing of its highly similar, 29-and 30-page complaints against FanDuel and DraftKings, respectively. The AG’s office also filed a 34-page memorandum of law and several supporting, evidentiary appendices in support of the two complaints filed today. Violations of New York’s General Business Law. The twin filings indicate that Schneiderman’s office took considerable umbrage with the claims of the two companies frequently made in commercials which have saturated the US’s major sports-media markets since late August. The same four allegations against FanDuel and DraftKings appear multiple times, distributed throughout the more categorical list of alleged statutory violations against the two firms. d. Misrepresenting /advertising that defendant’s games are not considered gambling. One of the toughest points the two DFS giants will have to overcome in defending against the AG office’s charges is that New York’s gambling code does not draw any particular line between games that are totally chance (no skill element), and those that have elements of both skill and chance; either activity is legally considered “gambling” in New York. Today’s filings contain considerably more important material in a case that threatens to remake the “legal” United States online-gambling scene. FlushDraw will return with additional excerpts from today’s filings and a look at a couple of specific challenges now facing DraftKings and FanDuel in their efforts to continue providing their services to New York residents. Both firms have generated over 10 percent of their totally revenue from New Yorkers, and the loss of the state’s marketplace would likely trigger a secondary wave of US states moving to eradicate online DFS offerings from within their borders.